On June 4, 2013, German chemical company BASF announced it will invest €10 bn in its assets in Asia Pacific in 2013-2020. The investment is linked to a set of ambitious targets, headlined by top line annual sales of €25 bn to customers in the region by 2020. The investments will create around 9,000 new jobs and annual savings of €1 bn. The company expects that by 2020 around 25% of its global R&D will be conducted in Asia Pacific. The hope is that innovative solutions can be developed which “address the region’s challenges of resource efficiency, food and nutrition, and quality of life”. The full version of this press release is available here http://basf.com/group/pressrelease/P-13-286 . Dutch manufacturer of bioresorbable polymers Purac has signed a long term supply contract for the delivery of up to 10,000 tonnes annually of Puralact lactides to a customer in Asia. Puralact lactides will be polymerised into high heat polylactic acid (PLA), a bioplastic made from annually renewable resources. Commercial production of the partner’s production facility is expected to start in the second half of 2014, but material for sampling and testing will be available shortly. The supply agreement for high optical purity lactides will enable Purac’s partner to produce a range of high performance PLA homopolymers. The target market for the partner’s PLA is Asia, with a focus on high heat PLA for durable and demanding applications, such as automotive and electronics parts. The news is relevant to medical processors because it involves a large volume, indicating the importance of PLA in other sectors as a bio-based polymer with perceived environmental benefits in the eyes of some customers. In medical markets, PLA is mainly desired for its resorbable properties. Further to the supply agreement, Purac and its partner have signed a joint development agreement where Purac’s know-how in the area of high performance PLA will be combined with the partner’s market access and application knowledge to further accelerate the commercialisation of PLA compounds for injection moulding and extrusion purposes. USA-based market research company BCC has forecast that sales of medical polymers in China will grow by an average of 16% a year to reach US$4 bn in 2017. The market was valued at US$1.9 bn in 2012 and nearly US$1.7 bn in 2011. According to BCC, the market has experienced fast growth over the last two decades and is expected to be influenced by several factors. Key among these are rapid growth of the medical products market, establishment of pharmaceutical and medical device manufacturers in China, the shift by polymer manufacturers towards medical applications, production efficiency improvement, low emission standards, and solutions for environmental constraints. Medical device manufacturer Stryker, based in Michigan in the USA, has acquired Chinese maker of orthopaedic devices Trauson for US$764 mn. The deal gives Stryker a foothold in the Chinese device market for orthopaedic products for trauma and spinal treatments as well as associated accessories like fixators and cables. Kevin A Lobo, Stryker’s president and CEO, said: "With the acquisition of Trauson we are well positioned to broaden our presence in China and to expand into the fast growing value segment of the emerging markets. We look forward to building on the company's long history of success." French manufacturer of corrective lenses and other ophthalmic products Essilor has established a research centre in Wenzhou, China. The research centre is a joint development with the Wenzhou Medical University. “Partnering with leading research organisations throughout the world is a key lever of Essilor’s research and innovation strategy” explains Eric Perrier, vice-president worldwide R&D at Essilor. China’s leading plastics and rubber trade exhibition, Chinaplas, took place on March 20-23, 2013. Notable news from exhibitors is as follows. Straight from its local production plant for peripheral equipment and robots in Kushan, China, injection moulding machine and accessory maker Wittmann Battenfeld showed its W808 robot. The W808 constitutes a significant further development of its predecessor model, the W801. This appliance is specially laid out for applications on injection moulding machines with clamping forces of up to about 150 tonnes. The W808 can handle a maximum payload of 3 kg and is programmed for extremely short cycle times. Making its debut this year was German specialty PVC maker Vinnolit. The company has manufacturing facilities in Germany and the UK, employs 1,450 staff and enjoyed turnover of €905 mn in 2012. Vinnolit has been active in the Chinese market for many years. "China is the world’s largest market for paste PVC and it continues to grow dynamically," Dr Wolfram Proessdorf, commercial director at Vinnolit, says. "With proven, but especially with tailored, innovative PVC products we will now increase our presence in the Chinese market significantly." Vinnolit exhibited at a joint booth with the distributor Dunwa Chemicals, which markets Vinnolit paste products in China. Dunwa Chemicals has long-standing experience in China's PVC market and excellent logistics structures. Another first at Chinaplas in 2013 was the joint exhibition of Swiss materials handling equipment manufacturer K-Tron and German extrusion machinery maker Coperion. The joint booth follows the acquisition of Coperion by K-Tron’s parent company Hillenbrand for an estimated US$530 mn in late 2012. K-Tron provides single source engineered systems for a wide range of feeding and pneumatic conveying applications in the polyolefin production, engineered resin compounding and plastics extrusion industry. One of the highlights at the booth was K-Tron’s Bulk Solids Pump (BSP 150), specifically designed and engineered to provide “gentle, precise feeding of free-flowing pellets, granules, and friable products”. Also featured will be a Bag Dump Station. This is designed to ensure “a clean, dust-controlled environment while making it easy to unload material received in bags”. The acquisition of Coperion by Hillenbrand won an award at an international mergers and acquisitions award ceremony, the International M&A Awards Gala, in New York in May 2013. On the materials side, an exhibitor of note was US chemical company Lubrizol who highlighted its advanced wound care tapes, films and dressings, as well as its non-polyvinyl chloride (PVC) medical technologies for IV tubes, medical bags and medical garments/drapes. “Lubrizol’s LifeScience Polymers group is focused on linking science to life through the development of innovative polymer solutions and world-class support services for the healthcare industry,” stated Deb Langer, general manager of Lubrizol LifeScience Polymers. · broad elastic properties that allow maximum comfort and flexibility for the skin. Lubrizol LifeScience Polymers offers medical-grade thermoplastic polyurethane (TPU), alone or in combination with other plastics, as an alternative to PVC. In Lubrizol’s words, these products “create safe, biostable products that meet the requirements of medical applications where PVC might be not be an ideal material”. · Ability to customise for specific applications. On June 25-27, Gerresheimer, a German manufacturer of drug delivery devices and other pharma packaging products, will be showcasing at CPhI China in Shanghai. CPhI is a leading brand of exhibitions in the pharmaceutical industry. Gerresheimer’s Chinese subsidiary Gerresheimer Shuangfeng has three production sites in China. The company’s Medical Plastics Systems operations in China, Gerresheimer Medical Plastic Systems Dongguan Co Ltd, covers the company’s full supply chain, from ISO class 8 cleanroom injection moulding, assembly and post-finishing right through to packaging. Services also include project management, validation of customer moulds as well as mould repair and maintenance. Abbott, a US device maker and inventor of Absorb, the first ever bioresorbable polymer stent, has initiated randomised clinical trials in Japan to evaluate Absorb. Abbott describes Absorb as a bioresorbable vascular scaffold (BVS). The device is approved for market in the EU and is undergoing clinical trials in the USA. In Japan, it is being evaluated in patients with coronary artery disease (CAD), the most common form of heart disease. The results of the trial will support regulatory filings with the Japanese Pharmaceutical and Medical Devices Agency (PMDA) for approval of the Absorb device in Japan. The trial in Japan will enrol approximately 400 patients and compare the performance of Absorb to Abbott's market-leading Xience family of metallic drug eluting stents. The primary endpoint is target lesion failure (TLF) at one year, a combined measure of safety and efficacy of the device. Takeshi Kimura, M.D., professor, Department of Cardiovascular Medicine, Kyoto University Hospital, is the principal investigator of the Japanese trial. "Unlike permanent metallic stents, Absorb dissolves over time, which may allow the blood vessel to regain natural function, a unique effect that could have significant impact on the way coronary artery disease is treated in Japan," said professor Kimura. "While the clinical outcomes of Absorb have been demonstrated in international clinical trials, we now have the opportunity to understand the impact of this technology in Japanese patients in a comparative study, and hope the results of this effort support the process to make Absorb widely available for clinical use in Japan in the future." The trial also will incorporate state-of-the-art imaging techniques to study the impact of treatment with Absorb in the blood vessel. The first patient in Absorb Japan was enrolled by Shigeru Saito, M.D., director, Cardiology and Catheterization Laboratories, and vice president, Shonan Kamakura General Hospital, Kanagawa, Japan, who also enrolled the first patient in the Absorb Extend trial in Japan—a prospective, single-arm trial initiated by Abbott in January 2010 in Japan and other international markets, including Europe. Data from the Absorb Extend trial and other international trials have been presented at major medical meetings and continue to support the near-term safety and efficacy of Absorb across traditional measures typically used to evaluate a drug eluting stent. Ongoing evaluation will continue in randomized trials, such as Absorb Japan, to understand the unique, long-term benefits of a device that dissolves completely over time. "The deliverability of this device during a procedure is similar to a best-in-class drug eluting stent, which is important for treating blockages with ease and confidence in a range of patients," said Dr. Saito. "We anticipate continued, growing enthusiasm about Absorb from physicians and patients. By leaving no permanent implant behind, this innovative device has the potential to provide benefits never before seen with metallic stents." US developer of nitrogen dioxide (NO2) sterilisation equipment Noxilizer has acquired Japan-based Saian Corporation. Both companies have been involved in developing nitrogen dioxide as a sterilisation solution for pharmaceutical, biotech and medical device companies, as well as hospitals. The strategic acquisition is intended to strengthen the global effort to promote acceptance and growth of nitrogen dioxide sterilisation as a powerful and less-expensive alternative to current sterilisation methods. Nitrogen dioxide sterilisation technology represents one of the more important innovations in medical device sterilisation in over 20 years. As a room temperature sterilisation alternative to ethylene oxide (EO), gamma and hydrogen peroxide, Noxilizer provides an option for companies to save significant costs by safely sterilising in house, allowing inventory release in just hours versus days. Other benefits provided by nitrogen dioxide sterilisation include: a true room temperature process, improved materials compatibility, much faster cycle time and no concerns about residuals. All important factors as pharmaceutical, biotech and medical device companies continue to innovate and grow. “Noxilizer’s acquisition of Saian Corporation assets will immediately bring an expanded line of NO2 sterilisation products to our customers in the pharmaceutical, biotech and medical device markets. Saian ’s unique approach to providing sterilisers with onboard sterilant generation and abatement capability offers great advantages in room temperature sterilisation which we believe will greatly benefit our customers. We are excited about the opportunity to introduce breakthrough sterilisation technology as a means to improve customer productivity and build shareholder value. The agreement also establishes Noxilizer as a global player in the life science sterilisation market, including the important Japanese market,” says Lawrence Bruder, president and CEO of Noxilizer. “We are very excited to bring a strong product contribution to Noxilizer. Noxilizer has already developed a presence in the market and is generating revenue. The engineering team in Japan looks forward to working together,” says Ryuichi Iwasaki, formerly CEO of Saian and now general manager, Noxilizer Japan KK. Ryuichi Iwasaki will lead the team in Japan and report to Lawrence Bruder. Saian Corporation’s leading investor since inception is The University of Tokyo Edge Capital Co, Ltd (UTEC) based in Tokyo, Japan. “We believe in the power of nitrogen dioxide sterilisation and the ability to impact the pharmaceutical, biotech and medical device markets. The potential for both companies to be successful increases when they work as one. Our investment team has great confidence in the leadership and looks forward to continuously investing in the potential of nitrogen dioxide sterilisation enabled by Noxilizer and combined with Saian assets, together with a wider range of investment groups in the US and Japan,” says Tomotaka (Tommy) Goji, managing partner and president of UTEC. Noxilizer’s headquarters will continue to be in Baltimore, USA. Noxilizer Japan KK is a newly formed subsidiary located in Wakayama-shi, Japan. 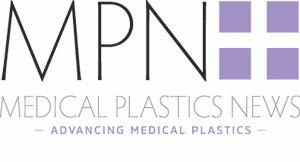 To read more about how NO2 works with a selection of polymers, including Ultem and Silicone, see these pages in Medical Plastics News, September-October 2012. At Plastic Japan, a trade show for plastic processors held in Tokyo on April 10-12, German medical grade silicone supplier Wacker highlighted Lumisil 885, a silicone rubber for producing optical lenses, Silpuran 2410 silicone rubber for orthopaedic applications, and Silpuran 6610/40 liquid silicone rubber for radiation-sterilisable valves for medical devices. For more on silicones see these pages in Medical Plastics News, January-February 2012 and these in January-February 2013. Philadelphia, USA-based ERT, a global technology-driven provider of health outcomes research services to biopharmaceutical organisations, medical device companies and contract research organisations (CROs), has announced significant milestones that reinforce its position as a leading eClinical trial solutions provider in Japan. ERT has completed registration for Kabushiki Kaisha (KK) in Japan and has formed a fully-owned subsidiary, ERT Asia Group, Ltd. The KK registration enables ERT to broaden the local services it provides in Japan and establishes a solid foundation to expand its Asian presence. Along with this registration, ERT will grow the number of local resources in Japan that will work directly with its customers to deploy Japan-based projects. Local teams will further enhance the quality of services that ERT is known for providing. Having already deployed solutions in over 1,200 studies in Asia, this expansion enhances ERT’s capabilities to support the growing number of biopharmaceutical companies who are utilising its eClinical solutions in trials throughout Asia. ERT is the industry leader in delivering important health outcomes research services in support of clinical trials that include the enrolment of subjects in Asia. Trusted by researchers and regulators worldwide, ERT solutions in cardiac safety, respiratory and eClinical Outcome Assessments (eCOA)—including patient, clinician and observer reported outcomes—have been used to capture primary efficacy and safety data for treatments approved by the Japanese Pharmaceuticals and Medical Devices Agency (PMDA). ERT has launched a localised version of its corporate website (www.ertjapan.jp) to help Japanese biopharmaceutical researchers access important information about ERT’s eClinical trial solutions, capabilities, and currently available positions. Website visitors can also view and download educational content including recent industry publications, podcasts, and webinars on topics pertaining to cardiac safety, respiratory, and COA data collection via the site’s comprehensive resource centre. Bayer MaterialScience, a subgroup of the Bayer Group and world leading materials provider, has officially opened its first Polymer Development and Technology Center in South Korea. Located in the city of Yongin near the capital Seoul, it will focus on the development of new polycarbonate applications for high-tech products from Korean companies especially in the automotive and IT sectors. The new tech centre adds to a network of research and development hubs around the globe and major production sites in Asia Pacific. "Over the past decade, Korea has emerged as a centre for cutting-edge high-tech products," said Michael Koenig, Executive Committee Member of Bayer MaterialScience and Head of the Polycarbonate Business Unit. "Large Korean companies are offering their latest technology worldwide, but their development and research mainly happens in Korea. With our new tech centre we can be closer to them, better engage in long-term R&D partnerships and fulfil their needs with greater efficiency and speed." Koenig believes that the centre will become a driving force in the further development of innovative products in Korea. Bayer strategically selected Yongin as a location given its proximity to other R&D centres and manufacturing facilities of many of Korea’s global companies. Starting with the opening, the centre will provide technical advisory for Korean customers regarding polycarbonate applications in high-tech segments such as automotive or IT products (e.g. smart phones, laptops, TV stations etc.). From the third quarter of 2013, it will develop new applications product concepts with major Korean companies through collaborations as well as sample production and testing in the context of customer advisory. The opening of the centre reflects Bayer’s ongoing commitment to enhancing its presence in Asia Pacific to offer local customers better access to the company’s know-how, expertise and advanced application technology. The tech centre is part of a global network R&D and application development centres, including the main regional innovation hubs in Pittsburgh (USA), Leverkusen (Germany), and Shanghai (China) from which further expertise can be drawn. Additionally, the new centre will be supported by a strong network of production sites in Asia Pacific with major production sites in Shanghai, Map Ta Phut (Thailand), and Niihama (Japan). The region makes up 60% of worldwide polycarbonate demand. Austrian injection moulding machinery maker Engel has invested €8 million in its facility in South Korea doubling total capacity for the plant, based in Pyungtaek City, to 1,200 machines a year. The press release is as follows: “Engel wants to lead the world when it comes to generating customer benefit. To achieve this, customer proximity has to be a firm priority. We also need to ensure our injection moulding machines and system solutions are of a consistently high quality around the world. Our considerable success in Asia has shown that we're on the right track with this strategy”, emphasised Dr. Peter Neumann, the CEO of Engel Holding in Austria. In recent years, Engel has succeeded in steadily raising its market share in Asia. In fiscal year 2011/2012 the figure approached 10 percent for the first time as an Asian sales record of €125 million was achieved. Nearly 150 guests accepted invitations to discover the benefits of Engel Machinery Korea's improved performance, high production quality and expertise in system solutions at first hand. The event took place one day before the start of the Koplas plastics and rubber trade show, at which Engel was also exhibiting. “Demand for quality products and innovative technologies is continuing to rise in Asia”, confirmed Robert Bodingbauer. “In partnership with our customers, we are developing ever more sophisticated solutions and manufacturing processes that enhance competitiveness by raising productivity and efficiency.” Systems business, including automation, is becoming more important along with process integration solutions and energy saving options. Having increased its capacity in Korea, Engel is now ideally placed to cope with that growth. Engel's production plant in Shanghai was also significantly expanded just last year. The company has been producing large-scale machines for the Engel duo series in China since 2007. Engel is now the only western producer of injection moulding machines with two production sites in Asia. German injection moulding machine maker Arburg has celebrated the fact that its Singapore subsidiary has been operating for 25 years. The subsidiary, which has a strong focus on serving medical customers, held an event in May. As many as 90 guests attended. Arburg managing partner Juliane Hehl and managing director sales, Helmut Heinson travelled to Singapore especially to attend the celebrations. The Arburg subsidiary in Singapore was founded on May 11, 1988, initially as a Technical Support Centre, before being transformed into an independent sales and service centre for the entire ASEAN region in 1992. Growing medical technology segment: While, in the beginning, customers were mainly drawn from the electrical and electronics sectors, the focus is now on companies that produce precision medical technology parts. “The medical technology segment in particular has grown continuously in recent years,” says David Chan, who goes on to explain the technical requirements of this challenging industry: “Singapore is a niche market for medical technology and other high-end products. This is why, here, we mainly require small and precise servo-electric machines that operate both reliably and energy-efficiently. These are precisely the machines in Arburg’s portfolio and the company is known as a leading manufacturer in the region. “This has created the conditions for continuously growing sales in the ASEAN countries over the past 25 years. A leading Singaporean government minister, the Minister of State Lee Yi Shyan visited the headquarters of polymer manufacturer Sabic in Riyadh, Saudi Arabia, in March 2013. Sabic’s Asia operations, which have been experiencing strong double digit growth, are headquartered in Singapore. The two sides exchanged views on how to further these business relations, with Singapore being the hub of Sabic’s regional operations. The minister met with Prince Saud bin Abdullah bin Thenayan Al-Saud, chairman of Sabic and the Royal Commission for Jubail and Yanbu, and Mohamed Al-Mady, Sabic Vice Chairman and CEO. German synthetic rubber producer Lanxess has opened what it describes as Asia’s most modern butyl rubber plant in Singapore during an official ceremony attended by around 400 guests. The plant is the result of around €400 mn and will have a capacity of 100,000 metric tonnes. The plant will create about 160 highly qualified new jobs that will mainly be filled locally. The facility will produce premium halobutyl rubber as well as regular butyl rubber. Injection moulding process monitoring service provider SimpaTec has appointed Joseph Vithayanon as the new managing director for SimpaTec Engineering Asia with responsibility for the South East Asia region. Prior to joining SimpaTec, Joseph spent ten years with NR Automation Systems as marketing manager, Joseph has responsibilities in the areas of CAD, CAE and CAM product marketing. Since 2010, Joseph has been working as liaison officer and product manager.